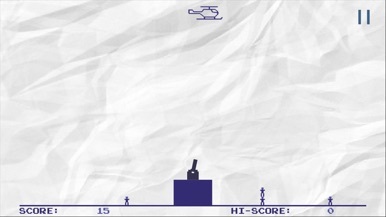 The player controls a gun turret at the bottom of the screen. The turret can swivel to cover a large area of the screen, but cannot move from its base. 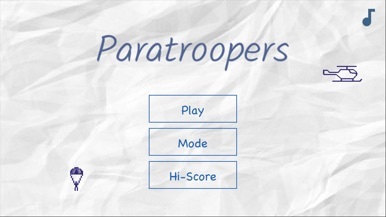 Helicopters fly across the screen at varying heights, dropping paratroopers. The gun may fire multiple shots at once, and the shots may destroy helicopters or shoot paratroopers. Paratroopers may be disintegrated by a direct hit, or their parachutes may be shot, in which case they will plummet to earth. if 4 Paratroopers on the same side will reach the ground you loose. 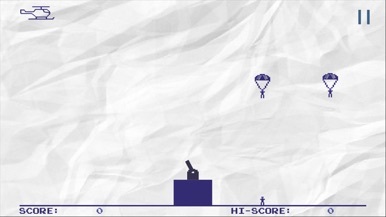 Play the great 80's game again in 2 different modes. Lugway dvr 4K is a app for previewing real-time video, whict is sended by our dv device. Using Lugway dvr 4K, you can : 1、View the camera real-time video. 2、Set kinds of command to dv device. 3、Capture or record your moment. 4、Download the file from the device, and share them to your socail platform.